The Achieve – Minnesota Center for Professional Development recognizes and supports the providers in the field of early childhood and school age education throughout the state. In all settings of early childhood and school-age care, the provider’s experience and professional development is the key element to children’s successful learning. The Child Development Associate (CDA) credential is nationally recognized and issued by the Council for Professional Recognition in Washington, D.C. The CDA is the most widely recognized credential in early childhood education (ECE) and is a key stepping-stone on the path of career advancement in ECE. The CDA Competency Standards nurture the emotional, physical, intellectual, and social development of children in a variety of child care settings. For more information on the CDA credential process and upcoming MNCDA Learning Community Cohorts, click here. Eager-to-Learn is an innovative, community based, e-learning program of Child Care Aware of Minnesota. Early Educator Central is a jointly administered project by the U.S. Department of Health and Human Services (DHHS), Administration for Children and Families (ACF), Offices of Child Care and Head Start. This project is being led by ICF International in collaboration with ZERO TO THREE and the National Association for the Education of Young Children. The initial focus is on linking to coursework to support infant-toddler educators, who include center and home-based/family child care teachers. However, the initiative is also providing compelling resources for others with key career roles in early learning. Resources are being developed and organized to meet the needs of other key early childhood professionals including: administrators of early childhood programs; trainers and coaches; higher education professionals and coursework developers; and professional development (PD) systems leaders. T.E.A.C.H. Minnesota is expanding! Scholarship opportunities for center directors and other center-based employees not working with children are now available. Additionally, there are new scholarship models for qualified indiviuals interested in completing fewer credits per year. Applications and more information available through Child Care Aware of Minneosta. Contact a T.E.A.C.H. Counselor at teachmail@childcareaware.org or 651-290-9704 x200. Adult Basic Education (ABE) is available statewide at no cost to adult learners and is administered through the Minnesota Department of Education. Each year, over 500 delivery sites serve approximately 75,000 adult students. About one-half of whom are enrolled in English Learner (EL) programs. Licensed teachers provide ABE instruction and are assisted by more than 3,000 trained volunteers. For more information on accreditation for child care centers, please visit the National Association for the Education of Young Children. For more information on accreditation for child care programs, please visit the National Association for Family Child Care. To promote quality out-of-school time programs and support the leadership and development of out-of-school time professionals. For more information visit MNSACA. NAA sets standards for stimulating, safe, and supportive after-school programs for young people ages five to fourteen. For more information, call the national office at 703-610-9028. NAFCC recognizes quality family child care homes through a self evaluation process. For more information, call 801-269-9338. NAEYC recognizes quality child care center programs through a self-evaluation process. 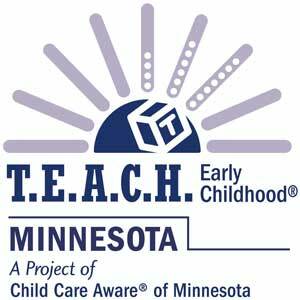 Minnesota’s chapter (MNAEYC) offers support for Center Accreditation and more.